This week, Kigali, the capital of Rwanda, in Africa, hosted an important meeting on innovation and public policies. Organized by The Office, a local innovation and creative hub founded by Jon Stever and also by the Global Innovation Gathering network (which brings together innovative people from all over the world), led by Geraldine de Bastion, the meeting is focused on building an open document to explain to policy makers why innovation hubs are important and why they can help to promote social development. Part of the meeting was an open event where young entrepreneurs and innovators met leaders of the Smart Africa agenda and exchanged ideas. I was invited by the organizer to present my perspective to an audience that included Mr. Jean Philbert Nsengimana, the Minister of Youth and ICT in Rwanda. Open innovation is one of the most important paradigms needed to fully understand the 21st century. Open innovation is about the idea that you can use external (plus the internal) resources to find solutions, to create value. Several companies around the world have been using this form of work to improve its products. Governments have also done the same to improve its work. And even the society, by itself, has gotten organized connecting the potentials and skills of citizens to promote well-being and social impact. In São Paulo, for example, a chaotic city of 20 million people in South America, groups of citizens started a movement of “adoption of squares” in order to transform public space in something nicer, where they could stay and enjoy their free time. With the nice public space available, the citizens can use the square to play with their kids, do some yoga class and even dance. They can, for example, meet someone they find on Bliive to do all these activities. Bliive is an app founded by a Brazilian girl who decided to promote time exchange in a collaborative network. So if you know how to dance samba you can teach someone and accumulate some credits on the platform and use this credits later to learn how to speak Spanish (Portuguese is our official language in Brazil). I could mention several movements, apps, websites and applications from Latin America that connect citizens by its interests. Just organizing something is part of our culture: the ability to gather and share. We’ve been doing this for a long time, before we even knew what computers were. And now we can even do it in scale, connecting not just our community but different neighbors and countries. Like Vojo Brasil, an application that allow people who use public telephones or simple mobile phones to send information to the internet even without an internet connection. And we all know that the Internet in the global Arena, is the place where important things and decisions are made nowadays. So having visibility, can be an important way to show your culture, fight for your rights and also find opportunities for employment and income. Radio Yandê, for example, is a platform organized by some Brazilian traditional native communities based in Rio de Janeiro in order to preserve and disseminate their music. Contos de Ifa, is a digital game, made by students of a digital cultural hotspot in Recife, northeast of Brazil, that tells the history of characters from an Afro-Brazilian religion. Recently a Brazilian institute launched Responsa, a map that gathers organic food producers, fair trade restaurants and suppliers in order to stimulate new consumption habits. The technology is also being used in our context to stimulate citizens to help the policy makers to govern our countries. In Argentina, the ‘Santa Fe Como Vamos’ platform, for example, allows people from this area of the country to input data about the quality of the public services and their opinions in order to evaluate in a more open way the quality of life in the province of Santa Fé. In Mexico “Mejora tu Escola” helps people from schools around the country to make the education better through the feedback of the students’ parents. To use the collective intelligence to build better applications is a smart way to innovate. You can get better results at lower costs, and above all, you can understand the specific demands of the population – so that they play a central role on the process. Some of the best technology experiments show us that an essential element for success is to start from people by focusing on citizen needs, embracing citizen-centric design. Technology can offer new creative solutions but it should always remain a means to an end at the service of citizens. And the community can take part in the design effort to come up with better solutions. What makes a successful project is the engagement in all the steps of the policy/program/project cycle: design, implementation and evaluation. And we can do it by (1) building open interoperable service and interfaces, (2) not building from scratch and (3) sharing reuse and transfer solutions across the cities. So smart cities can only truly be developed through citizen’s­ active participation. The municipality of Sao Paulo for some years hosted “Café Hacker”, which were weekly open meetings with innovators and entrepreneurs. The idea was to ask them how to build better tech applications and collect ideas for the future. That was even an incredible way for the municipality to hire tech talents. After few editions of the event they incorporated in the website of the municipality some data visualization tools, where people could see how the mayor was spending the budget of the city in categories. They also made available a lot of open data, which is data that are freely available to everyone to use and republish as they wish, without restrictions from copyright patents or other mechanisms of control. And open data is the key point for smart cities projects. It can bring efficiency and can stimulate innovation, as people have the source to work and build application. You contribute with the entrepreneurship scene when you make the data open. Entrepreneurs and social entrepreneurs have material to work on! And we have to remember that the best tech producers are the users. 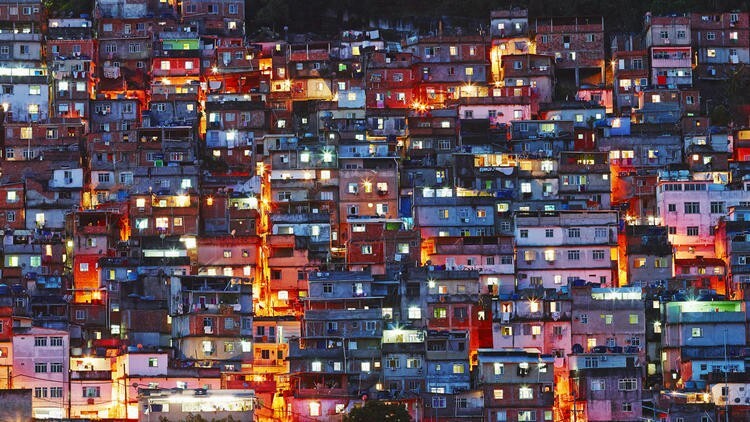 Like DataLabe, a social experiment in Favela da Maré in Rio de Janeiro, Brazil, where young people are combining data available and building their own projects. A girl called Paloma Calado created an interesting data visualization project that showed the students from that favela their own performances versus other student nationwide, in an important national exam. As our local newspapers usually don’t focus on our poorest areas, you can imagine how important it is for the people who live in that area to understand and compare themselves with their peers. And what they found out is that the performance of the students of that area is actually pretty good! To stimulate this feeling of empowerment it is important to give access to information and tools – and also network. And here come the innovation hubs. In places like coworking spaces, hackerspaces, fablabs, makerspaces – and all names we can find for these – people are all the time connected to new ideas, have space to develop their own projects and also help on the others projects. And that is really powerful!! The space I coordinate in Brazil, called Olabi, is one example among others. We are a social enterprise focused on stimulating entrepreneurship, innovation and technology as a way to confront social inequalities. In our space people can find access to Internet, chairs, tables and other people leading meaningful projects or learning something new. And it is this exchange of knowledge that is the greatest power of the space. We’ve been hosting events and activities related to themes ranging from the arts to the sciences, with public and private sector players. We have partnerships with more than a hundred organizations in the country operating in various fields: education, mobility, inclusion, culture of peace, health justice etc. And we believe that, through this connection between many different things, we can stimulate the generation of new and powerful ideas. We are involved with the maker movement, because we know people can learn how to make anything. And we also know making is crucial to understand and act in the world, because is the way you can understand and transform the world. And we’ve seen how people nowadays in every part of the world are making their own prosthesis, satellites, clothes, applications, tech systems. And we know our population is full of creativity! Two months ago we opened a new space inside a huge building in Cantagalo, a low-income community in Rio de Janeiro, that is managed by one of the most important Brazilian NGOs: Viva Rio. Viva Rio has 8.000 employees working around Brazil and Haiti, managing services in vulnerable areas and they decided to start an innovation hub to unleash the talents of local young people. The project is just in its beginning and we are helping them to understand how to connect the locals with stakeholders from local, national and global ecosystems of innovation. We started a makerspace there, where people can have access to several design tools. From previous work in similar communities we know that the newest tool is not necessarily the best tool and there are a lot you can do with simple materials. We did, for example, a program in another low-income community in Rio just focused on e-waste, and we achieved very interesting results. Makerspaces usually are well known by their association with robotics, digital fabrication and other tech tools. But in fact, their full potential lies in the ability to engage people to learn and create. Like all innovation hubs; independently of infrastructure. We in Latin America face a lot of big challenges and our countries are usually not at the top of the innovation rankings. But to improve this, we already know we can stimulate hubs across the region – places where you can find dynamic interaction between different stakeholders, different sectors and different system levels to find and co-create the innovative solutions that will support transformation and create a better life in tomorrow’s cities. With the hubs we can spread solutions, find markets for them and contribute to sustainable cities and better quality of life for citizens globally. An innovation ecosystem is a strategic asset of a city. It can be useful to solve the city’s own societal challenges and also to be an attractive place and partner for investment and citizens. Part of this ecosystem, innovation hubs can deliver new values to the city and help on the social transformation. And to finish it is good to remember: in the coming years, the mechanization of work will continue to grow. Some economies will benefit from that. Internet of things applications can be a valuable tool for improving the world in fields as diverse as health care, transportation, the environment and economic inclusion. But to develop its positive aspects, it is more than necessary to be truly connected to the local scene. I will update this post as soon as I get more news about the outcomes of the meeting in Rwanda. *Gabriela Agustini é co- fundadora e diretora executiva do Olabi Makerspace, consultora de hubs de inovação e professora na Fundação Getulio Vargas Rio e Universidade Cândido Mendes. Inovação, Tecnologia e Criatividade para todos.